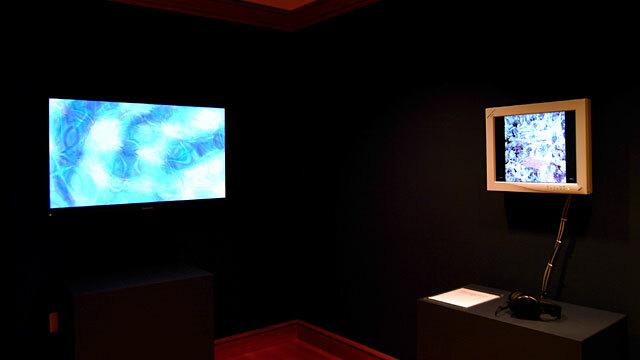 The exhibition Digitalyart took place at Inter-American Development Bank cultural center’s gallery, Washington D.C., February 19th - April 25th, 2003. It included works by Fabrizio Plessi, Celestino Soddu, and myself. 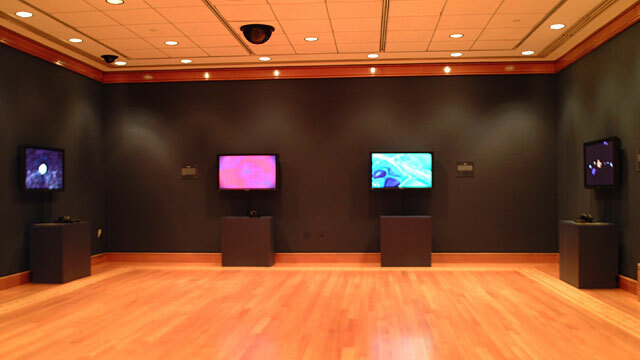 Six works were shown: colori, variazioni, slide show II, oggetti, motion picture II, and latino. 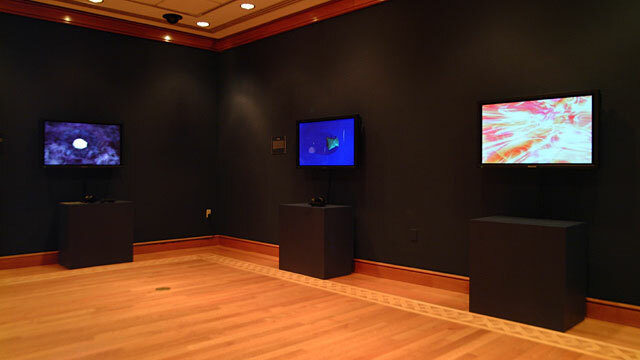 latino was presented on a 20″ LCD touch screen, while the other works were displayed on five 42″ plasma screens.